This guide is designed to assist students enrolled in Dance courses with locating Library resources for their research assignments. The guide is organized into steps that cover the basic research process for locating and citing relevant sources used in writing a paper or other projects. For general research assistance other than Dance, view the links listed under Research Tools. In six volumes, with nearly 2,000 articles written by scholars from over fifty countries, the International Encyclopedia of Dance offers authoritative coverage of the full spectrum of dance, including theatrical dance, ritual dance-drama, folk, traditional, ethnic, and social dance. Extensive historical and cultural overviews of many nations appear along with articles on specific dance forms, music and costumes, dance performances, biographies of dancers and choreographers, and much more. The premiere volume of the Garland Encyclopedia of World Music series offers a comprehensive view of African music as a vital part of the social and cultural life of it peoples. The 34 expert contributors have all conducted fieldwork in Africa and their firsthand experience is reflected in the immediacy of their observations. In 39 articles, this encyclopedia explores key themes in African music that have emerged in recent years - a subject usually neglected in country-by-country coverage; emphasizes the contexts of musical performance-unlike studies that offer static interpretations isolated from other performing traditions; and presents the fresh insights and analyses of musicologists and anthropologists of diverse national origins-African, Asian, European and American. Also includes nine maps and 96 music examples. Books, eBooks, and other Library materials can be searched using the Online Catalog. Books for Dance are located in sections GV 1587- GV 1799 in the Library's collection. There are two main categories of books: general and reference. General books (located in the "Stacks" on the lower floor) can be checked out and are often used for more in-depth research. Reference books (located on the upper floor) do not circulate but can be useful for acquiring an overview on a topic. 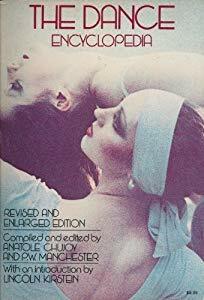 "A lavishly illustrated history of American dance; covers more than four centuries, from Native American ceremonial dances to the early 21st century; written by journalist and dancer Margaret Fuhrer"-- Provided by publisher. This text helps dancers learn anatomical and biomechanical principles as they apply to dance performance. It focuses on optimal dance movement and the related principles for understanding the function of body joints. And by applying those principles, dancers can help reduce their risk of injury and enhance their performance longevity.Dance Anatomy and Kinesiology offers valuable scientific knowledge and understanding for dancers, helping them to blend anatomical and kinesiological principles with artistic expression. Such a blend of science and art will empower dancers to realize their potential and expand their artistic vision. This completely revised and enlarged edition is a virtual one-volume international reference library of the art and science of the dance. Its 1,008 pages, which include close to 5,000 entries, are illuminated with 274 photographs. Renowned master teacher Eric Franklin has thoroughly updated his classic text, Dance Imagery for Technique and Performance, providing dancers and dance educators with a deep understanding of how they can use imagery to improve their dancing and artistic expression in class and in performance. This expanded edition of Dance Imagery for Technique and Performance supplies imagery tools for enhancing or preparing for performance, and it introduces the importance of imagery in dancing and teaching dance. Franklin’s method of using imagery in dance is displayed throughout this lavishly illustrated book, and the research from scientific and dance literature that supports Franklin’s method is detailed. In this provocative study of dancing, Sam Gill examines the interpretive styles of a variety of cultural dance traditions in discourse with the philosophic traditions of Schiller, Merleau-Ponty, Barbaras, Derrida, Leroi-Gourhan, and Baudrillard. As a scholar of religion, Gill provides special consideration to the importance of this emerging appreciation of dancing as a perspective inclusive of body and experience. Each chapter delves into the many factions of dancing: moving, gesturing, self-othering, playing, seducing, and masking. Gill also draws on the analysis of contemporary dance films and musicals, his experience as a dancer and dance teacher, his extensive research on dance traditions, and his interest in neurobiology and phenomenology to develop the core of this rich exploration of "dancing," the structurality of all dances. 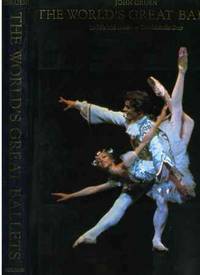 A reference book of about 650 articles describing the achievements of dancing on the stage in the course of the last 50 years,the first half of the 20th century.Very well illustrated in color and black and white. In The Encyclopedia of World Ballet, Mary Ellen Snodgrass surveys the emergence of ballet from ancient Asian models to the present, providing overviews of rhythmic movement as a subject of art, photography, and cinema. Entries in this volume reveal the nature and purpose of ballet, detailing specifics about leaders in classic design and style, influential costumers and companies, and trends in technique, partnering, variation, and liturgical execution. The various cultures in Latin America and the Caribbean have produced their own unique forms of dance. Latin and Caribbean Dance highlights dances indigenous to Cuba (mambo and cha-cha-cha), the Dominican Republic (merengue and bachata), Haiti (compas and Vodou ritual dances), Argentina (tango), and Brazil (samba and capoeira). Explore how each dance has developed and been adapted through European and African influences, as well as how they continue to develop in the modern world. The rich, diverse cultures of the Middle East have long inspired fascination among outsiders. That interest, coupled with misunderstanding, has sometimes led to mythical and exaggerated interpretations of regional dances that are far from authentic. This new edition of Middle Eastern Dance clearly and colorfully showcases the many dances of the region that have been performed for thousands of years, such as the spiritual spinning dances of the Whirling Dervishes and the dabkeh line dance of the Lebanese, Palestinian, Jordanian, Syrian, and Iraqi people. With over 2,600 entries, the second edition of The Oxford Dictionary of Dance is a unique single volume reference on all aspects of dance performance written by two leading dance writers, Debra Craine and Judith Mackrell. This two-volume set relates the history of the most popular social dances, where they began, which dances survived the test of time and why, and what attracted American men and women to social dancing in these periods. It includes photos from the top performances, and a great deal of explanations about them. A beautiful hardcover book with over 250 pages. Trial Database available for Kin 103. Ancient World History. User/Password is required and provided during instruction. eBook provided through Project Gutenberg. This book is a collection of images of people engaged in dance. It was originally authored by "An Antiquary" in 1911. The pictures provide a sampling of dancing figures from ancient times until the early 20th Century. Several cultures are represented. Many of the images are derived from woodcuts, while others are drawings. The Library maintains a collection of instructor reserve materials. These consist of textbooks, videos, and supplemental course materials that instructors have put in the Library for student use. To find what materials are available for Dance, search Course Reserves in the Online Catalog. It is best to search by "Course Number" (ex. KIN 103) in that an instructor other than yours may have placed an item on reserve. Materials can be requested at the Periodicals counter and generally must be used in the Library on a two-hour loan period. Photocopy machines are available for 10¢ a copy.